If you google for April Fool’s Day pranks, you’ll come across hundreds of hilarious and not so hilarious marketing campaigns from big brands like Lego, Reebok, Oreo, Burger King, Kit Kat, Heinz, Argos and a dozen of others. Only on Wikipedia, you’ll find a separate page devoted to numerous Google’s jokes, not to mention the BBC, which does not miss a chance to hoax since 1957. However, the practice shows that jokes can be controversial. Some of them make you feel completely baffled and don’t even put a smile on your face. To save you some time and to get those giggles out of you this fine Monday morning, we’ve picked out the wittiest marketing campaigns by some of your favourite brands. Sometimes we may think that Google is almighty. It knows an answer to every single question. You can visit countries you’ve never been with Google Earth or explore the galaxy with Google Sky. What’s interesting, Google has cleverly used this assumption and made self-confident attempts to change the weather, manage our lives, and strengthen our addictions. Here are some top pranks on April Fool’s by Google. The Netherlands is among the comfiest countries for a living, but its biggest disadvantage is that it rains 145 days a year. In 2017, Google launched Google Wind that recognizes cloud patterns, accumulates the power of 1170 windmills spread all over the country and prevents bad weather from happening. Sounds like a great way out not only for Holland but for many other countries. It’s been a long time since smart houses have been a trend and it’s high time to create something new and groundbreaking. The same year as Google Wind, smart yard technology was introduced for outdoor requests by naive humans and, yes, it’s a joke, and Google stands behind it. Great user experience is what people usually expect from giants such as Google. What if one were to combine mankind’s biggest addictives – the Internet and coffee – and provide unlimited access to both thought Google. And it could have definitely worked if it had not been a joke. Since its launch in 1948, Honda is among the most innovative and reliable brands. Although it produces motorcycles, aircraft, and provides financial services, its main division is focused on the auto industry. It seems like the company aims to provide only the best experiences for their clients, as their April Fool’s Day hoax suggests some up-to-date features. Back in 2016, selfies were hardly the only thing youngsters could think about. To engage a younger audience, Honda has developed a cutting-edge selfie technology in a brand new car model that allows taking pictures from 10 different angles. Emojis have indeed become an integral part of our lives. With the help of this language of signs, we share our happy moments, pains and sorrows with others, and it would be just perfect to communicate with other drivers without getting out of the car. As we’ve said, Honda often surprises with innovative features and this time it has installed emojis in a steering wheel. Admit it, you’ve crashed into a glass door, a pole or other people on the street too. Now, thanks to Honda, we can imagine how it would be if there were to be a safety app that helps people stay alert while staring at the phone. The unspoken marketing law says that any campaign featuring animals is bound to go viral. T-Mobile tried it and on April 1 played a cute joke on a family plan for pets, so that owners could stay in touch with their other family members. Meanwhile, pets would have the freedom to do what they really want with 4G LTE DataStrong Network, Pet Translator, SnapCat and other cool features. The story about Mark Zuckerberg not willing to spend too much time choosing what to wear and dressing up in the same grey T-shirt every day went viral last year. 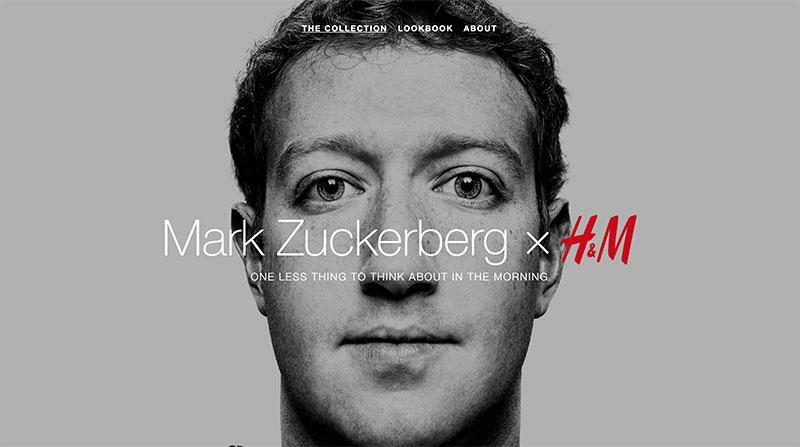 H&M has quickly reacted and fantasized what would happen if Mark Zuckerberg and the brand have created a collection in collaboration. The name of the collab already sounds funny, but the point is different. Uber admitted they did not have time to invent something new, so they uninvented the sustainable and active service – just put the carton car on and walk wherever you need to. Jamie Oliver’s recipes are usually quite complicated. They contain multiple ingredients, require patience and time, as well as a couple of attempts to succeed. For April Fool’s Day, the chef made the dream of many come true and presented super quick and easy recipes even a child could manage. These witty and funny marketing campaigns serve as a great example for marketers. They show how to create viral content, react to holidays and events, as well as gain the trust of the audience by evoking positive emotions. We are looking forward to seeing what these brands prepared this year. What about you? Share with us which campaign you liked the most.